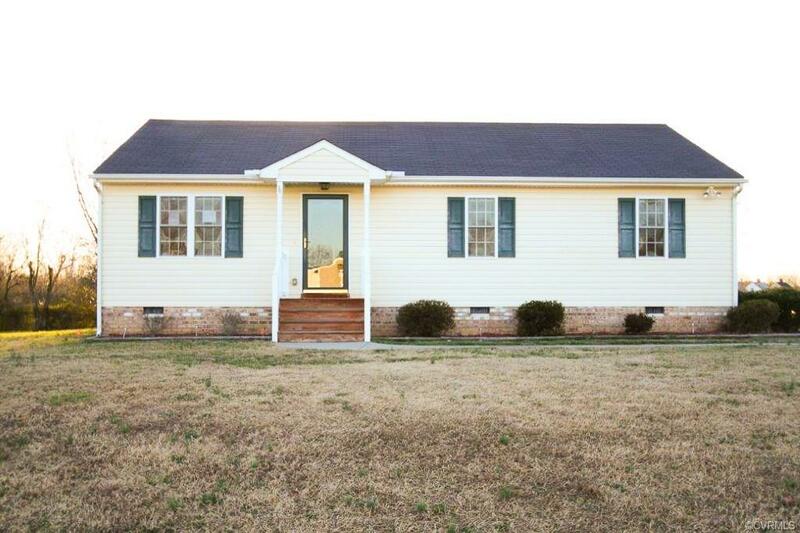 Make sure you add this lovely three bedroom rancher to your must-see list! This inviting home offers a great open layout with lots of natural lighting and other nice features. The living room is open and bright and offers a high vaulted ceiling and a ceiling fan. Natural lighting flows effortlessly from the front of the home to the back. The kitchen is a good size, with a generous amount of cabinets and a built-in microwave, and is conveniently located next to the eat-in area. The door in the eat-in area goes to the laundry area and directly out to the backyard. The master bedroom is quite large and has its own full bathroom, which provides privacy when you need it, especially when you want to indulge in a nice bathroom soak when you want to unwind. The other two bedrooms are a good size and also offer ample natural lighting. The home needs a fresh coat of paint and a few other improvements, but has lots of charm and appeal nonetheless, and will surely be a great place to call home. HUD homes are sold as-is, with no guarantee or warranty by the Seller or Listing Broker.